(2018 Update: One of our kids returned to NTNU's Mandarin camp in 2018, see update below) Over the summer of 2014, our kids attended Chinese summer camp in Taiwan. Actually, they attended two camps: the Mandarin Training Center (MTC) camp at National Taiwan Normal University in Taipei (師範大學), and a shorter program called Camp Taiwan in Wanli, near Keelung. 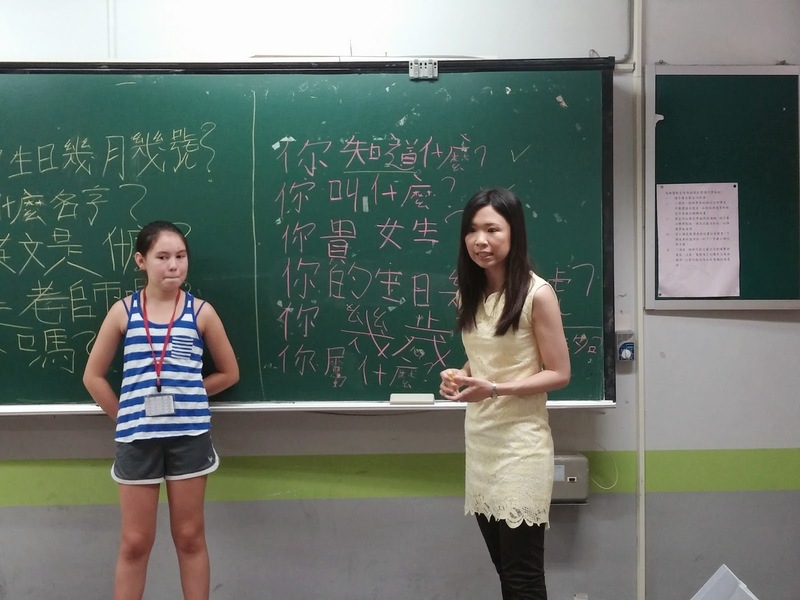 This blog post will serve as a brief review of the two Taiwan summer camps and also to share some of our thoughts about Chinese education for non-native speakers. Overall the programs were wonderful, but there were a few unexpected issues that we had to deal with. Why study Mandarin in Taiwan? We have family and friends in Taiwan, and for our children, it is important to maintain these family and cultural connections. We wanted our kids' Mandarin to improve. For our oldest, it was shaky before she started (despite lessons in her American public school), and for our youngest, it was practically nonexistent. An immersive language program was the ideal situation for us. Since I started my own publishing company for how-to guides, it is possible for me to work practically anywhere, including overseas, so I could supervise them in Taiwan. Taiwan is safer than China, which has chronic air pollution, poor food safety standards, a "Big Brother" surveillance state based on citizens' (and some visitors') online and offline activity, and questionable rule of law. For those readers who are unaware of Taiwan's history, it is a modern democratic island nation of more than 20 million people that China's communist government claims as its territory. Most people in Taiwan speak Mandarin (the same dialect spoken in China) as well as a much more difficult dialect known as Taiwanese. Taiwan uses Chinese characters, although the more traditional "difficult" characters (繁體字) that China largely abandoned in favor of "simplified" Chinese (簡體字) more than 50 years ago. We began to research summer language programs in Taiwan late last year. I quickly discovered there were very few resources to turn to. Of course, there were about a half-dozen summer camps in Taiwan that had their own websites, but there were no independent reviews that I could find for any of them, other than some short posts on expat forums. Besides having a strong Mandarin language component, we wanted to make sure the summer camps we selected were age-appropriate (many are aimed at kids under 8) and affordable. We eventually settled on the NTNU Mandarin summer camp in Taipei. The university's reputation was an important reason -- it's the premier teachers' college in Taiwan, and the Mandarin Training Center has been running the camp for more than 5 years, which seemed to validate the quality of the program. The cost was surprisingly affordable compared to American camps, although our Taiwanese friends with kids who are used to more subsidized experiences thought it was expensive. It came to roughly $1500 per student per 4-week term, with classes starting at 9 and ending at 3. They also fed them lunch and a snack, and had all kinds of activities, from arts and crafts to limited sports. I thought that was very reasonable, considering many American day camps cost more than $2,000 for one month, and sometimes a lot more, particularly if there is some special sports activity, technical specialty, or artistic element involved. We also decided to enroll them in Camp Taiwan, which was billed as a "North American-style" overnight camp for a week in a rural area of northern Taiwan. It targeted Taiwanese parents who wanted this sort of experience for their kids (the official camp language is English) and it was staffed with a mixture of Taiwanese and foreign young people, and had all kinds of outdoor activities, from archery to kayaking to ziplining. Importantly, there were no electronics which was very appealing. The cost was about $500 per child per week, which I also thought was reasonable, although most of the other kids appeared to come from well-off families. Fees for international students had to be paid by bank wire, which is an absolutely terrible arrangement that is prone to error and extra fees (2018 update: This is still the case for the NTNU MTC program). I understand why a Taiwan business would be reluctant to accept a personal check from someone in another country, but credit cards are widely used in Taiwan and offer various protections for all parties involved. There was no confirmation in writing that our payments were received and the kids were all set. We had to circle back to the staff via phone and email to confirm, and even then it was like "we have recorded the deposit" not "we have received the deposit and your kids are confirmed for term X." NTNU had a website confirmation, but it was simply a "Yes" next to our kids' registration numbers. The fact that the confirmation was not clearly explained in writing meant if we were asked by anyone -- such as airport immigration officials -- what we were doing in Taiwan for the summer, it would have been quite difficult to prove that we had registered and paid for camp, and had a legitimate reason for being in Taiwan for such a long period of time. Communication from the time we paid to the time the camp started was poor. American camps send emails from the directors, reminders about XYZ, and lots of other information before camp even begins, but this sort of communication was practically nonexistent from NTNU and only partially handled by Camp Taiwan, which sent a big information packet to my brother-in-law about two weeks before camp started. However, once camp started daily communications was great (see below) -- maybe even better than most American camps. While both programs had nurses on staff, neither one asked for health confirmations/vaccination history/physicals. We did them anyway before we left for Taiwan in case they asked, but the two programs didn't ask for the forms. I suspect it probably relates to local regulations (or lack thereof) as well as differences in the way countries handle vaccinations and health information. We arrived in Taiwan in early July. We stayed with friends in a suburban area of Taipei, which was conveniently located near the MRT, which is the capital city's inexpensive and well-run subway system. It took us about an hour to get to camp each day, via walking, the MRT, and a bus. It was roasting hot and very humid. My weather app said "Temp: 91, feels like 105" and it was true. Fortunately, the NTNU camp was almost entirely indoors with air conditioning. The NTNU Mandarin summer camp started the following Monday. It was the second term, which ran until August 8. There were counselors outside the building on Taipei's Heping East Road to point us to the right place to go on campus. We had to finish up some registration details (including giving local phone numbers and addresses) and then the kids had a placement test while the parents went to the orientation. Immediately it became clear the NTNU program staff were very, very serious about Chinese language instruction. The materials, pedagogy, and other elements were very well thought out, and it was immensely reassuring. To give you an example, the textbooks used both traditional (繁體字) and simplified characters (簡體字), and students could use pinyin (the romanization system used in China) or bopomofo (the phonetic system used in Taiwanese schools). The faculty understood that some students may have studied Mandarin with mainland teachers or teaching materials based on simplified characters, and wanted to make them feel comfortable. On the other hand, if the kids wanted to learn traditional characters, that was OK, too. We were warned that the teachers would not speak English in class, but that was not completely true -- if someone was struggling, or didn't get a particular word, the teachers and their assistants would switch to English to help them. All of my interactions with the teachers (usually the assistants, who I would see every morning when I dropped off my kids) were in Mandarin. The orientation was also in Mandarin, although they translated some parts of the presentation (not the Q&A session, though). For parents who couldn't speak Mandarin, this might have been difficult, although at the end of the day everyone seemed to make it through the program OK (also, if you don't speak any Chinese but want to learn a little Mandarin before you go to Taiwan I recommend the Duolingo Mandarin app). You won't become fluent, but you will learn important basics, including tones and some basic phrases). NTNU was very good about communication during the program, compared to the lack of communication before the start of camp. There were about 85 students in all, most of them American- or Canadian-born Chinese with parents or grandparents from Taiwan. There was a sizable number of students who attended expat schools in Hong Kong, some Europeans and Australians, and a small number of Japanese and Korean kids. About a quarter of the kids were mixed race. When they all got together, they were loud (or louder than Taiwanese students in the presence of teachers) but clearly they had a fun time being together. The camp was organized according to age and ability -- five classes for "big" (大) and five for little (小). The youngest students in the little classes were about 7 or 8, while the youngest in the big classes were 12, going up to about 15 or 16 (2018 update: This has since changed - there are now three groups roughly mirroring primary, middle, and high school age groups). Our children were placed in the beginner levels for their respective age groups. We found that the range of abilities even within a group was large -- for instance, there was a child in the little beginner's class who could actually speak Mandarin pretty well, but could barely write. There were four core activities that were emphasized: Listening, speaking, reading and writing. 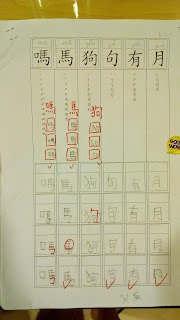 My youngest, who had almost no Chinese language skills before he started, made very great progress in all four, to the point where he could ask and answer very simple questions and even write down the characters after a few weeks. I was so impressed. There was a lot of homework, but it was varied -- sometimes they had to practice writing, other times they were supposed to read sentences or ask questions. It was about 60-90 minutes each day after camp. I found that I had to be involved with this -- my kids didn't understand some of the characters in their homework, or needed to practice Q&A with someone speaking Chinese. Fortunately, my own Mandarin and Chinese reading was sufficient to assist (I lived in Taiwan in the 1990s) and I was happy to help them and keep track of their progress (it even boosted my own Mandarin and Chinese reading comprehension, which was a nice bonus). The only drawback to this is I had planned on doing work every evening, and between homework, getting dinner, doing laundry, and making sure they cleaned up, there was very little time (I was the only parent in Taiwan in July). This impacted the amount of work I could do, which was basically limited to about 5 or 6 hours during the day (I went to a local coworking space not far from NTNU called CLBC, and worked on my guides, including a title that's kind of like Dropbox for Dummies). The NTNU program wasn't all work, though. One of the teachers told me they did not want to cram the kids with Chinese, because they wouldn't be able to remember it all and they would be miserable. Therefore, there was a daily limit of about 6 characters, plus speaking and listening exercises, and lots of opportunities for other activities, from field trips (glass and pottery factories, kung fu) to arts and crafts and basketball on campus. It was just the right pace, in my opinion. Of course, we had lots of other family and cultural activities on our own (see my video about this, called Quick Taipei), and there is so much to do in Taipei that we rarely felt bored. The program had a nice graduation ceremony, which included performances and the receipt of certificates and grades. The school also made sure that we had access to all kinds of online resources, although in our case we try to keep up their Chinese at home with one-on-one instruction from my wife. After NTNU ended, we got the kids ready for Camp Taiwan. We had to get some supplies (poncho, flashlight, etc.) but once we dropped them off at the bus they were the camp's responsibility for the next 5 or 6 days. Before Camp Taiwan started, I was honestly worried because of the heat and humidity, but it turned out that the camp was in the hills near the coast, so it was notably cooler. There were all kinds of outdoor activities except swimming, but they did manage some water activities -- river tracing and kayaking for our older child. The camp was a lot of fun for them, even for my oldest who is not an outdoorsy kid. The camp was also great with communication -- there was a daily password-protected blog with pictures and an account of the day's activity that we could review every night. The camp warned parents about attempting to contact their kids or drive to the camp during the session, which I think speaks to the fact that overnight camps are a bit unusual for most Taiwanese kids and parents. One other thing about Camp Taiwan: Even though the official language of the camp is English, and some of the counselors only speak English, practically speaking it was mostly Mandarin when the kids were amongst themselves. There were very few non-Taiwanese kids at the camp -- I'm guessing maybe 5% or 10% during the session they were enrolled in. This was fine with us -- it gave our children more opportunities to practice Mandarin and make friends from different backgrounds. While we stayed in a friends' apartment over the summer, during previous stays we have rented out an executive-stay family apartment in Neihu (a northern suburb about 40 minutes away from NTNU). It cost about $1,000 for two weeks for two bedrooms, two bathrooms, and a living room/kitchenette, and included cleaning and a light breakfast (fruit and Chinese-style bread). I have also used Airbnb when staying in other cities. This is an option for Taipei, and about half of the listings are in English. After registering for Airbnb (or logging in) search the Taipei listings, looking for apartments that are A) near NTNU on Heping East Road or B) near the Taipei subway system's Songshan-Xindian line or Zhonghe-Xinlu line (both connect to Guting station, which is right down the street from NTNU). Overall, both NTNU MTC Mandarin Camp and Camp Taiwan were positive experiences that really expanded our children's perspective and language ability. It is something they will remember for the rest of their lives. I would definitely do it again, if the flights to Taiwan weren't so expensive (about $1500 round trip, Boston-Taipei). Feel free to ask questions about Camp Taiwan or NTNU's Mandarin Training Center summer program below. Please see my separate post on my son's experience at the NTNU summer Mandarin program in 2018 (Chinese Summer Camp Review 2018). Notes: I was not paid money to write this post, and we don't have any affiliation with NTNU or Camp Taiwan other than sending our kids to camp there in the summer of 2014. I just wanted to share my experience, after finding it so difficult to locate real reviews about either program! Thanks! I know that Shida/Mandarin Training Center has a program for younger kids but I don't know the minimum age. I saw them meeting in the same building while we were there. For what it's worth, when my kids were much younger (4 years old for my son and 6 for my daughter) my wife spent the entire summer in Taiwan and was able to enroll them in local neighborhood summer daycare program in Taipei and southern Taiwan. We thought these were great - it wasn't formal Chinese instruction but they were in a Chinese-speaking environment (an air conditioned center) with other kids their age, having fun and being exposed to the language. It was also very cheap ... like $250 per month, including meals and snacks. These are available in almost every city neighborhood -- I would have your in-laws or wife call around or check them out. One other thing ... the programs aren't going to magically transform children into fluent speakers. But it sets a foundation and gives them a special summer experience, too. Danika, there are other summer programs at NTNU, including one for younger kids (up to age 8 or 9) and young people in college. The one that my kids attended were for tweens and teens (8 to 15). Camp Taiwan is not a Mandarin-teaching camp. Kids will get some exposure to the language, but I don't think it's the best way to improve your child's Mandarin skills. It's also very short -- just one or two weeks long for most campers. For Mandarin instruction, I would recommend the NTNU program described in my post. Yes, they did like it. Not, "Dad, take me back next year" (after all, the educational component was pretty heavy) but they have fond memories. They made friends, which was crucial, and also the activities and the experience of living abroad for the summer were stimulating. They talk about it still, four years later, and my younger one is going back this year, very willingly! THanks for the post. We will try both NTNU and Camp Taiwan this summer. Anonymous: I don't have any information about that program, which is run by a different university in Taipei. Sorry! Did your children enjoy the summer camp? We are searching for a summer camp for 2018. Thank you so much for this comprehensive guide! May I ask if the NTNU program is suitable for an 8 year old and an 11 year old with virtually no Mandarin skills? Secondly, if their grandparents live in Taipei, do you think it's okay if we're not present for 2 out of the 4 weeks? Our work schedule more than likely doesn't allow us to leave for that extended period of time... Lastly, I've heard that if someone is going to stay in Taiwan for more than 4 weeks, than you'll need to get a Visa, whereas no Visa is required if it is less than 4 weeks. Did your kids have to get that before going through the customs? Thank you! Hi, I am just beginning to plan for next summer, your post is great information! i also read about the Taiwan Mandarin institute summer camp (TMI), but i cannot find any other information on their summer camp, the reviews for the school seem great, but cant see any reviews for their kids summer camp. Hi Ian. Your post is great information! I am just beginning to plan for my daughter (3y) and I would like to send her to have some experience like this in Taiwan with in-law family. I would like to take some advantage myself and possible taking some classes as well. I am struggling thinking that the language provided at home is not enough due to a 3 language influence (English at school, Spanish(by me) and Mandarin by my wife). My daughter is already bi-lingual (English-Spanish) speaker but the Mandarin is mostly understanding what her mom said but few sentences compare with Spanish that I could have a complete conversation with her. Therefore my questions to you would be about the camp and your experience with your kids and learning Mandarin. With in the same question: Would you recommend to start in some sort of fashion like that before 7years old? I have a second daughter already (4months), so I need to find the best way for both. 2- Can we communicate of the blog or of-line? Thank you again for this blog and the time to share. Hope your business and Guides are doing great and I like the Taiwan video. I miss it. I had a great time when I went. Is camp taiwan the only overnight camp? I am looking for overnight camps that are safe for a 13 year old. I am not sure if it is the only overnight camp, but my sense is overnight camps are rare in Taiwan. There was a fair amount of education for Taiwanese parents ("don't drive to the camp during the week") which indicated to me the concept of an overnight camp was unfamiliar to most local people. NTNU does have a summer program for adult students, but I got the impression that it was for university students at a more advanced level. In terms of family accomodations: Airbnb is one option, but I also know there are executive stay/short term apartments that families can stay in. We rented one of them for our family when we visited in 2013 for Chinese New Year. It was about $1000 for two weeks, and was fully furnished (two bedrooms, 2 bathrooms, living room, and a small kitchenette), included cleaning and even a light breakfast every day (fruit and mantou). If anyone is interested reply in the comments and I can try to dig up the contact info. It was on the Neihu MRT line, not far from the ferris wheel and mall complex north of Songshan airport ... maybe 40 minutes door to door from NTNU. It also seems to be offered by NTNU - I was just wondering if you were aware of them? And why the same university would offer 2 different programs? Just came across your reviews and was wondering about Camp Taiwan. How many years have your kids attended and are you overall satisfied with the camp? I was thinking of sending my kids off to a sleep away camp in Taiwan to help with their Mandarin skills but saw that this is probably the only sleep away camp in Taiwan. (We are from NYC). Do you think it will help with my kid's Mandarin or don't bother because everyone speaks English there? 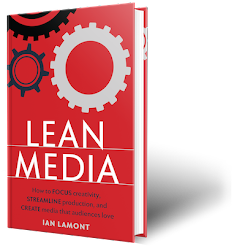 Hi Ian, thanks for the great review. We are in an interesting situation where our 13 (will be 14) year old daughter has been studying Chinese for years, but neither my wife nor I speak the language. We have no connection to Taiwan, but we would like to send her to the NTNU camp for the summer so she can get more exposure. Her Grandmother would go with her, but she doesn't speak any Chinese either. You had said that the communication with parents is generally in Chinese, and that children have a difficult time doing homework without some help. My question is, do you think that it would be doable despite these difficulties? 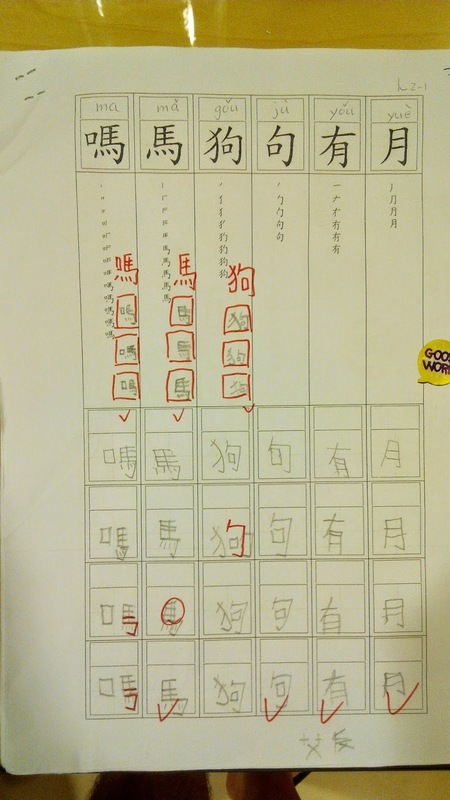 My daughter is used to struggling through Chinese homework without any help and generally gets by consulting google translate when necessary, but her grandmother would need at least some communication in English when necessary. At the beginning levels, the teachers speak English but the aides (usually college students) may not, or may not be comfortable doing so. Some of the administrators speak English and therefore would be able to communicate with your daughter's grandmother. I also know from the last time we attended that there were a few parents there who had no Chinese skills, yet they and their kids were able to make it through the program. As for life on the street, you can make it by without any Chinese ... shopping for food at supermarkets or convenience stores doesn't require any communication with staff, and the subway system has English signs and ticket terminals. For most restaurants and street vendors, however, Chinese is usually required -- if they look for English signs or in certain districts they will find some English-speaking options. Good luck!